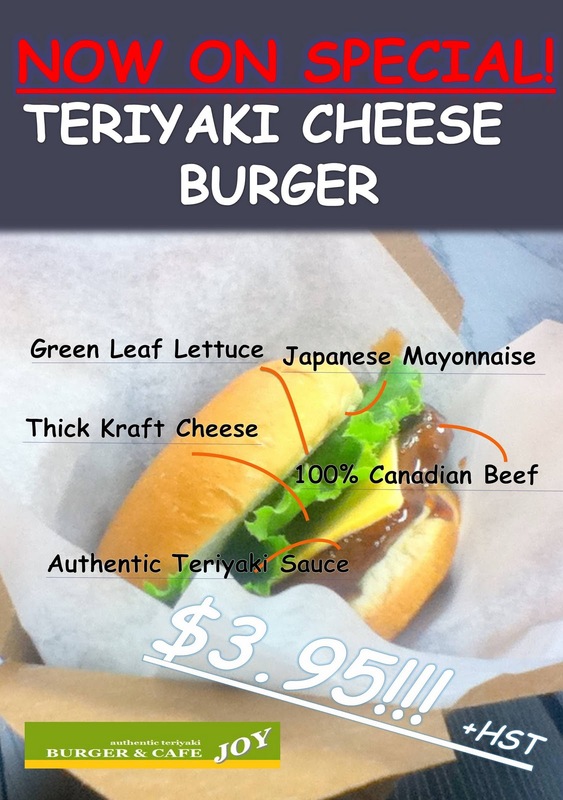 This month special is our customers favorite, Teriyaki Cheese Burger! Don't miss the special offer only in this month! 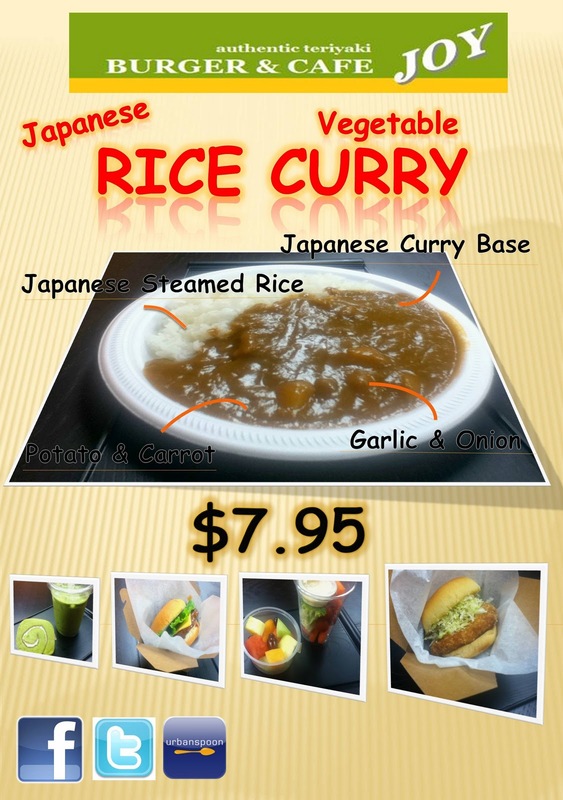 Also did you know you can taste yummy Japanese curry at JOY? 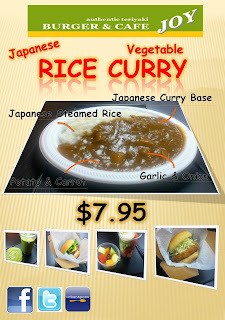 The newest item on our menu is Vegetable Rice Curry and you can taste it on Friday evenings only! Yes, we are open till 9pm on every Friday! Come on in and try those hot good food!